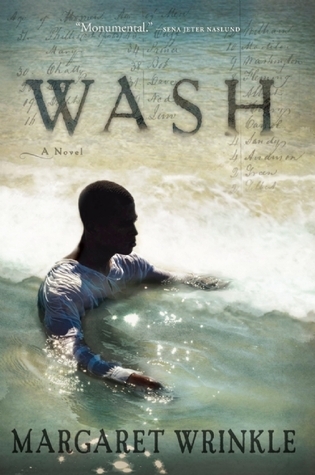 Wash by Margaret Wrinkle is a special book. It’s about a subject you probably haven’t seen in novels before–slave breeding–but it’s also about very complex relationships between owners and slaves. It’s a terrific book. And, as it happens, I have two copies. I’m keeping my hardcover, but I’m going to give away the Advance Reading Copy I received. All you have to do is leave a comment below AND subscribe to this website’s email list (got to the Home page for that). I’ll chose a winner at random on Monday, April 22. I’m in! Sounds like a wonderful novel. Problem signing up for mailing list–probably because I’m already on it? Yes, Pamela, you’re already on it. Thanks! Looks like a great book. I read your blog through writing friends, but this way I won’t miss anything. Thanks! I just read about this book and it’s on my list. Anxious to read something from this point of view. You’re right, I don’t think I’ve heard of this subject being covered in a novel. It sounds like a good book. Thanks for giving us a chance to win a copy.